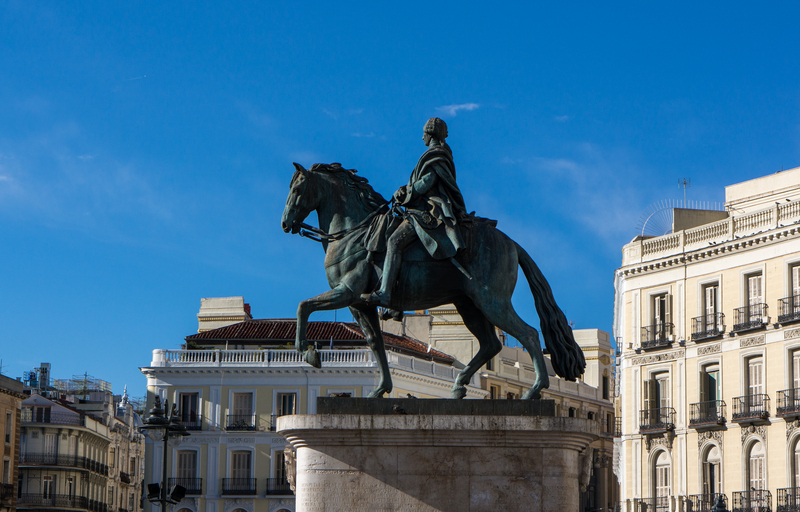 The Syracuse Madrid Internship Program is designed to provide you with an opportunity to gain a comparative understanding of the North American and Spanish work environment as you further develop your professional skills. You’ll learn in areas such as business, communication, public relations, education, and/or Spanish language skills in ways not possible simply through books and lectures. The internship coordinator will interview each student and discuss possible placements. Additionally, students may be interviewed by the companies. The acceptance of a placement will depend on the company’s final decision. If you decide to intern in Madrid, you can earn 1 credit in IPA 470 by completing 45 hours of supervised time on-task at the internship site in addition to the required writing assignments. Jacob Pirogovsky, a television, radio and film major, was an intern in spring 2015 at a theater called La Joven Compañía. He had the opportunity to work in film alongside young Spanish people and improve his Spanish. Jacob recommends that other students take on an internship in Madrid to gain valuable work experience in an international setting. He even appears in one of the theater’s trailers for Lope de Vega’s Fuente Ovejuna. You can see it on YouTube here. Would you like to provide meaningful service to your host community while learning about the cultural differences between the U.S. and Spain? We find opportunities for students to volunteer your time, culture, and talents in the local community. Many students choose to volunteer in local schools as an aide in English-language classes, while others collaborate with NGOs. Let us know which field you’re interested in (e.g., immigration, different abilities, charity work…) and we’ll do our best to find a placement for you. Once in Madrid, consult the internship and service learning supervisor, Maite Viñuelas, to discuss potential internship and service learning opportunities. Don’t miss this chance to enhance your academic and professional development!